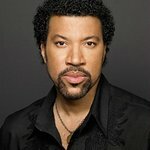 While Lionel Richie’s career includes such accolades as selling more than 100 million albums and achieving countless honors, from an Academy Award to four GRAMMY Awards, one of the accomplishments he is most proud of is his bachelor’s degree in economics from Tuskegee University. In the Commodores, he developed a groundbreaking style that defied genre categories, penning smashes such as “Three Times A Lady,” “Still” and “Easy.” The diamond-certified Album Of The Year GRAMMY winner Can’t Slow Down followed in 1983, giving the world classics such as “All Night Long (All Night),” “Penny Lover,” “Stuck On You,” and “Hello.” His music continued to push boundaries and unite listeners worldwide. It’s because he wasn’t afraid to break genre barriers and craft something singular and timeless. The next year he performed at the historic 1984 Summer Olympics closing ceremony. In 1985 he joined forces with Michael Jackson to write one of most important pop songs in history, GRAMMY-winning “We Are The World,” for USA For Africa and the album We Are The World. A decade later, in 1996 he began a run of powerful, personal albums that commenced with the gold-certified Louder Than Words, followed by 1998’s Time and 2001’s Renaissance. 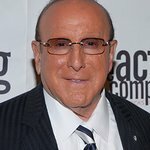 In addition to a total of four GRAMMY Awards, he won ASCAP’s “Golden Note Award” and “Lifetime Achievement Award,” as well as 14 American Music Awards, five People’s Choice Awards, a World Music Awards Legend Award, TV Land Icon Award, Germany’s Echo Award for lifetime achievement, Hong Kong’s Rojo Award, Goldene Kamera Award, Italy’s San Remo Festival Lifetime Achievement Award, and The Recording Academy Los Angeles Chapter Governors Award, among others. He received the Peter J. Gomes Humanitarian Award presented at Harvard University. He’s been inducted to both the Songwriters Hall of Fame and the Alabama Music Hall of Fame and knighted in France, receiving the Légion d’Honneur. Always giving back, his charity work extends from the Breast Cancer Research Foundation, City of Hope and Muhammad Ali Parkinson Center to UNICEF and The Art of Elysium. In 2012 the trailblazer creatively returned home with his 10th full-length album, Tuskegee. It would mark his third No. 1 debut on the Billboard 200 and attain platinum status. He was named MusiCares 2016 Person Of The Year. Lionel Richie helped to raise over $3.1 million for The Breast Cancer Research Foundation. He was the featured performer at the Foundation’s Soirée Bouquet, the annual spring gala. Google trends for "Lionel Richie"
We don't have any videos related to Lionel Richie.